Also serving communities of Silverdale, Bainbridge Island, Poulsbo. There are 60 Memory Care Facilities in the Bremerton area, with 4 in Bremerton and 56 nearby. The average cost of memory care in Bremerton is $3,500 per month. This is lower than the national median of $4,650. Cheaper nearby regions include Port Orchard with an average starting cost of $3,600. To help you with your search, browse the 76 reviews below for memory care facilities in Bremerton. On average, consumers rate memory care in Bremerton 4.0 out of 5 stars. Better rated regions include Seattle with an average rating of 5.0 out of 5 stars. Caring.com has helped thousands of families find high-quality senior care. To speak with one of our Family Advisors about memory care options and costs in Bremerton, call (855) 863-8283. The lakeside city of Bremerton, Washington, is located just a short ferry ride from Seattle and is home to more than 40,000 residents, 13.8 percent of whom are 65 years or older. An estimated 110,000 seniors in Washington have been diagnosed with some form of dementia, and for those living in Bremerton, there are more than 55 facilities in the area that provide memory care for this segment of the population. 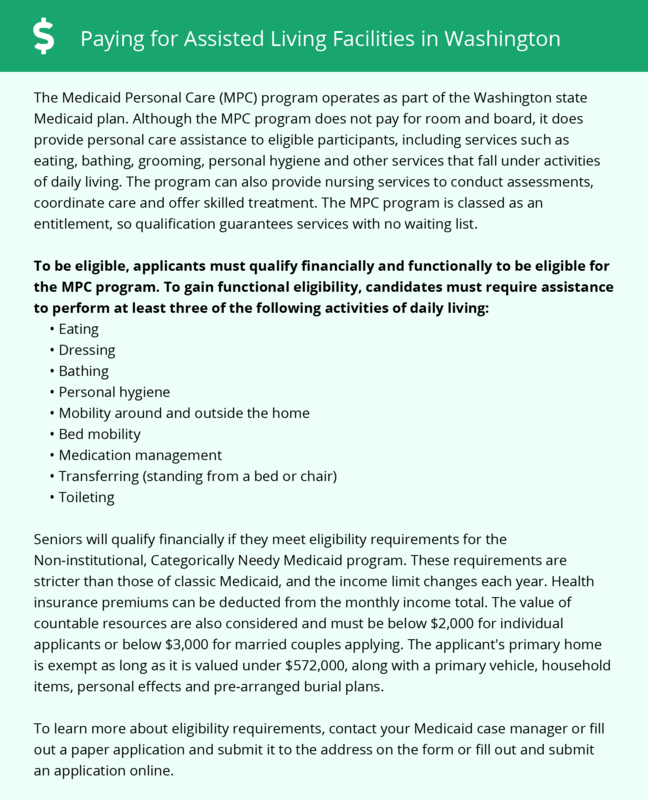 Throughout Washington, facilities that provide memory care services are officially known as Assisted Living Facilities (ALFs) and are often housed within existing facilities that are already providing assisted living services to the elderly, as regulations for both levels of care are similar. The Washington State Department of Social and Health Services closely regulates ALFs, and those offering memory care services must adhere to the state's dementia care program requirements. High crime rates may leave some seniors living in Bremerton feeling unsafe. Each year in the city, 4.87 violent crimes and 38.75 property crimes occur per 1,000 residents. Both these rates are considerably higher than the state averages, which are 3.02 violent crimes and 34.94 property crimes per 1,000 residents. The Bremerton area is home to world-class medical facilities, including those that specialize in brain health and dementia care such as Harrison Medical Center, in the event of medical emergencies or illness. Despite the overall cost of living in Bremerton being nearly 15 percent higher than the national average, seniors living in memory care facilities in the city may find that living in Bremerton is quite affordable, as the cost of healthcare is 17 percent below the national average. Bremerton is cloudy and rainy, which may be unpleasant for some seniors, especially those who enjoy spending time outdoors. The city gets 51 inches of rain and only 151 sunny days each year. By comparison, the national average is 39 inches of rain and 205 sunny days annually. Memory Care costs in Bremerton start around $3,675 per month on average, while the nationwide average cost of memory care is $4,799 per month. It’s important to note that memory care rates in Bremerton and the surrounding suburbs can vary widely based on factors such as location, the level of care needed, apartment size and the types of amenities offered at each community. To see a list of free memory care resources in Bremerton, please visit our Assisted Living in Washington page. Bremerton-area assisted living communities must adhere to the comprehensive set of state laws and regulations that all assisted living communities in Washington are required to follow. Visit our Memory Care in Washington page for more information about these laws.